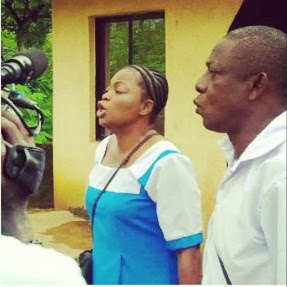 Comic Nigerian actress Funke Akindele and veteran actor Nkem Owoh are set to star in a new comedy movie. 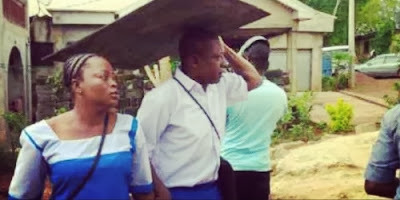 Jenifa and Osuofia were recently spotted on the set of the upcoming movie which has both of them dressed in secondary school uniforms. According to sources, comedy movies starring Funke Akindele and Nkem Owoh have become the toast of Nigerian film directors and movie producers lately. The movie will be out soon. This is a must watch for me what is the title? One is jst tired of all dos movies, a movie will com out in bricks. 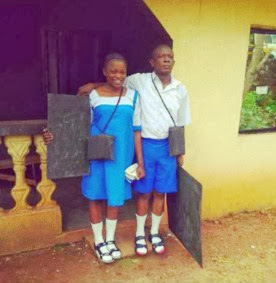 D title may be Osuofia n Jenifa, leta on u see watch out for Osuofia n Jenifa in school n so on. Parting it in bricks makes it borin wit no meaning. Pls giv us d best of dis movie! Dis very very good and intresting.pls keep on moving forward,Backward never. They are not mumu actors, it’s all about having entertainments that will help u adapt to Nigerian uncertainties and could also serve as a stress relieving therapy. I can’t wait to watch it. ewwooo, osofia n jenifa abiakwala ozo,carry go my guyz. dis na anti -hyper. i luv dem bt d r growing olda y nt train d yong to b lke dem samloko rain wit so much talent bt nw is gone thou osofia is mi favorit actor bot mercy n al of dem bt d re growin older d shld try n train sme person or oganisation to do like dem so dat we can wach new faces on tv too am ready to lonch d comic for dem whn eva it come out 08060496013 is mi NO…..